We are getting used to this long distance relationship thing, but that doesn’t mean we like it. In fact, it is about time for a Spesh Pass reunion!! That is why on November 12th our family is descending upon Columbia, MO for a night of everything we love — music, family, project releases, dancing, and so much more. 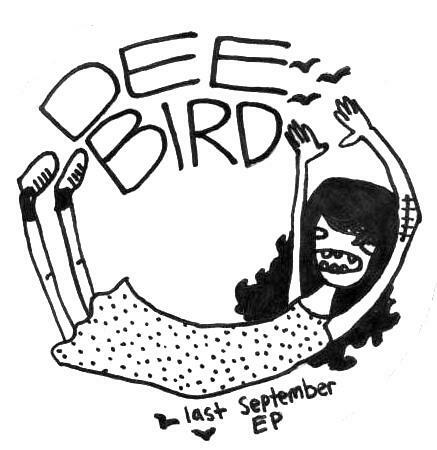 The project we are releasing is a 3 song Dee Bird EP called ‘Last September,’ which is our first Dee Bird release. The songs were written by Delia when she was on tour with us Bachelorettes and she recorded them with Wil and Zoe last Spring. 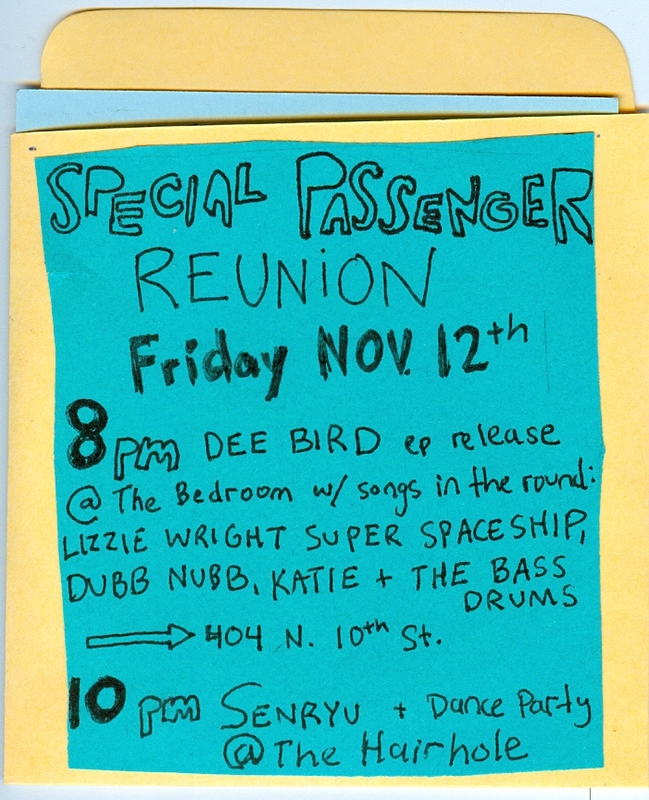 The evening will start out in Amanda’s bedroom at 8 with acoustic tunes in the round, featuring Dee Bird, Lizzie Wright Super Space Ship, Dubb Nubb, Katie and the Bass Drums, and hopefully more. (It’s a very spacious bedroom) Delia will be showing off her brand new ukulele and her healed arm scars. The EP will be for sale for 3 bucks. After that everyone will dance over to The Hairhole, which is just 2 blocks away for a crazy Senryu show and dance party. 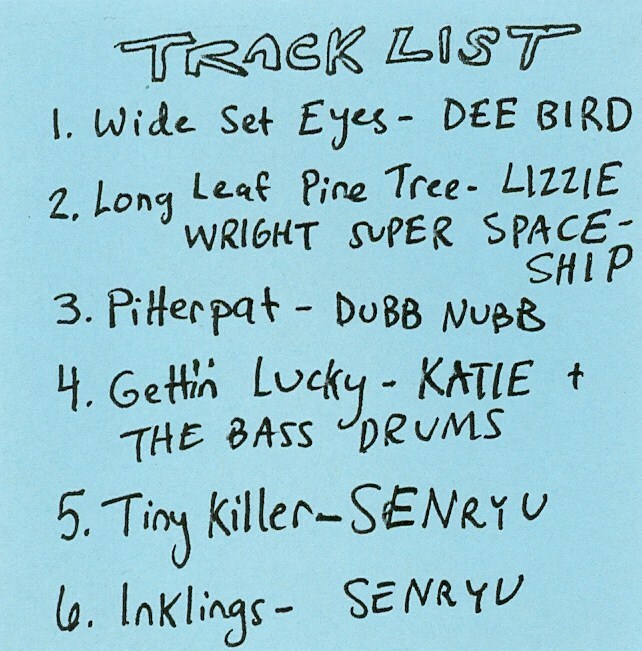 I have been promised new songs and the most fun Senryu can give. 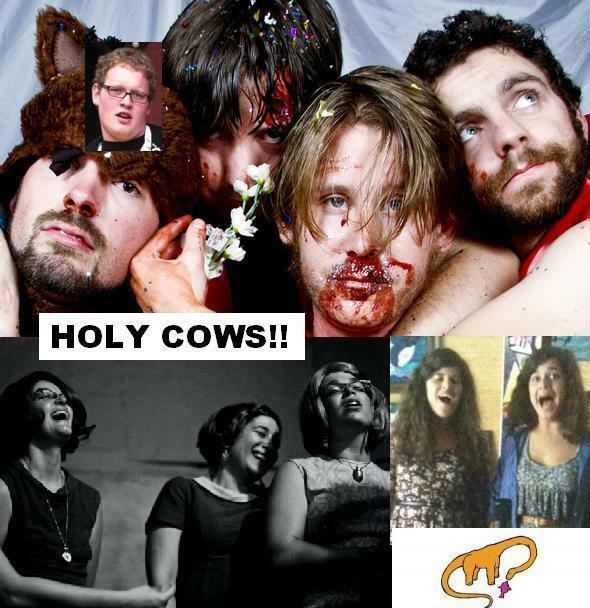 Holy Cows. We are SO SO SO EXCITED to be together again and to bring our special passengers to play for Columbia friends! !